Afkham described the condition of thousands of Palestinians imprisoned in Israeli jails as gross violation of international humanitarian law. Foreign Ministry Spokeswoman Marzieh Afkham on Tuesday denounced an Israeli court hearing against Speaker of the Palestinian Parliament Aziz al-Duwaik as gross violation of the International Law and the Palestinian sovereignty rights enshrined by the UN Charter. Afkham described the condition of thousands of Palestinians imprisoned in Israeli jails as gross violation of the International Humanitarian Law. 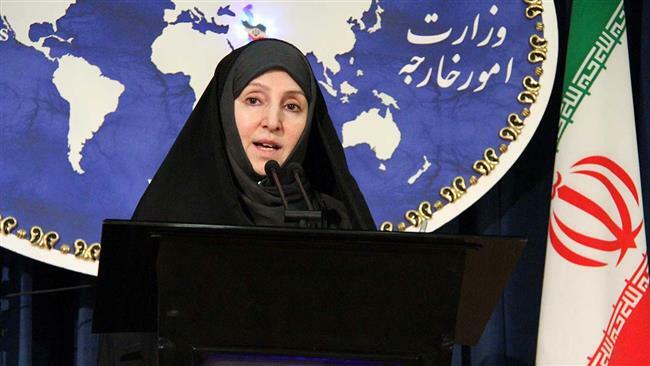 The foreign ministry spokeswoman said that the continuous holding of the legitimate representatives of Palestinian nation and sentencing them to prison terms under baseless excuses are blatant violation of the International Law and futile attempt by the Zionist regime to silence their right-seeking voice. Afkham urged the legal and international organizations to step in and react to this issue and push the Zionist regime to stop its criminal acts against Palestinian inmates and respect national sovereignty of the Palestinian government.